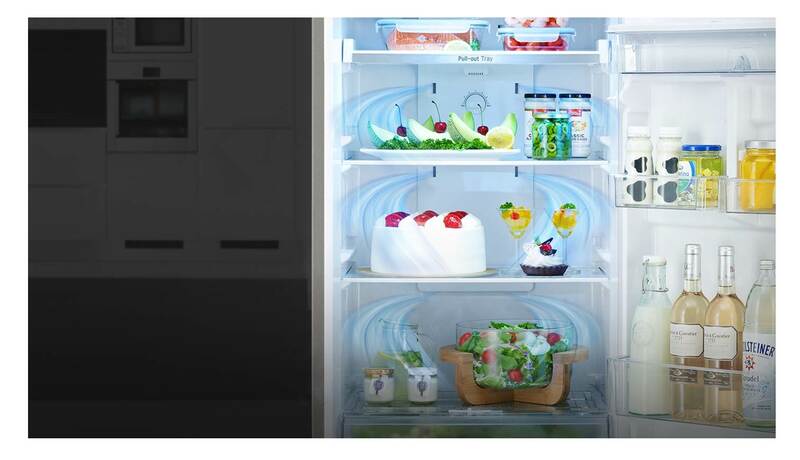 Designed to stylishly fit in with your kitchen, the LG GB-B5191PZ will fit perfectly at a corner in the house. 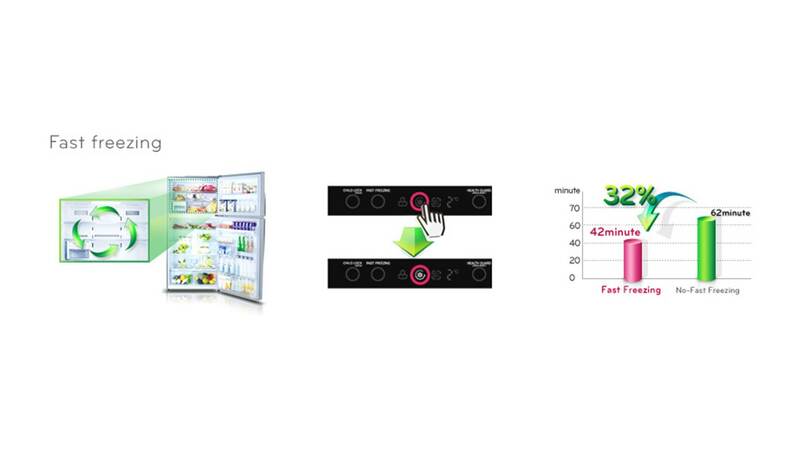 The Linear Inverter Compressor generates less noise, making the kitchen a quiet and comfortable place to cook. 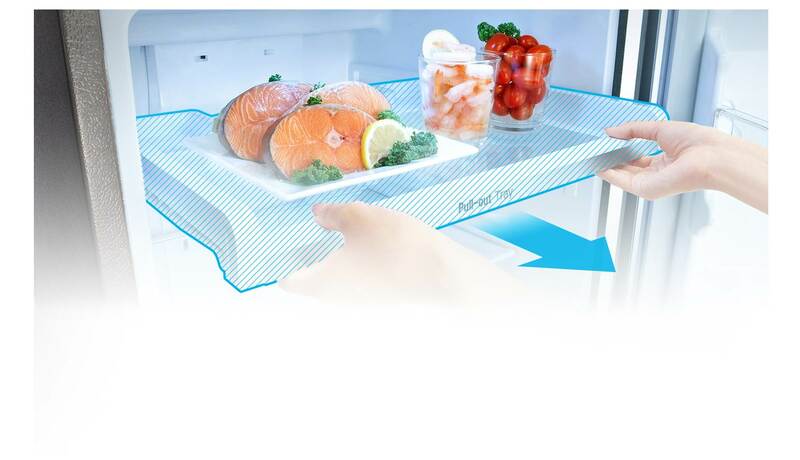 With the retractable shelf, taller items can be stored by pushing half of the shelf in. 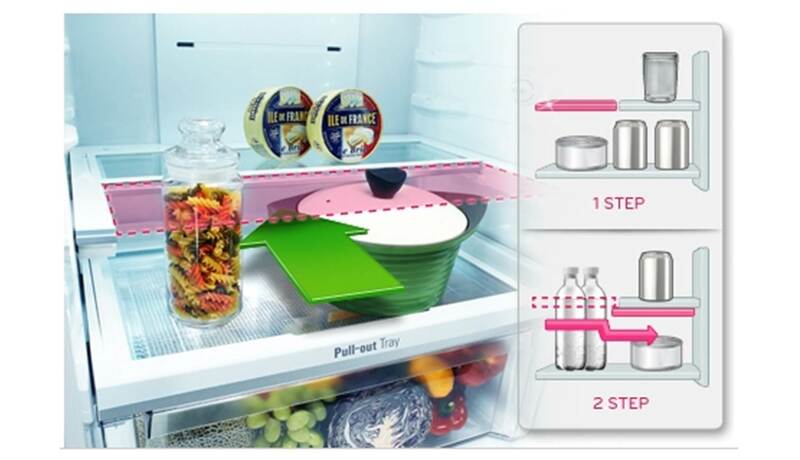 The Pull-out Tray lets you easily access and reach items at the back of the fridge. 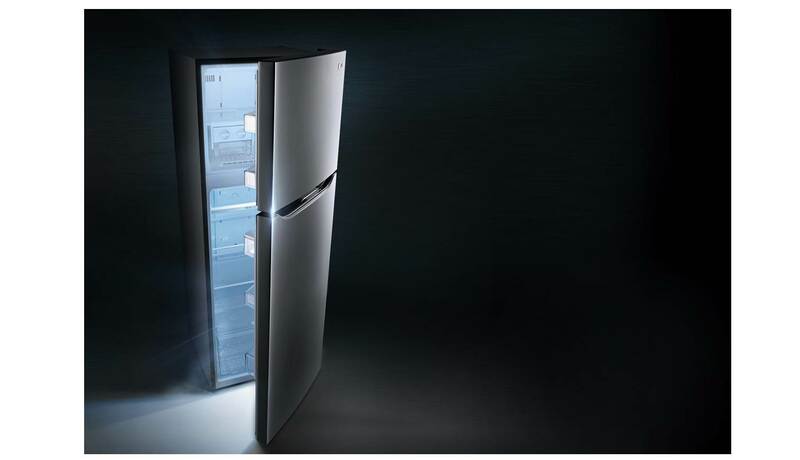 Makes food frozen faster through intensive non-stopping operation and ends automatically in 2 hours. 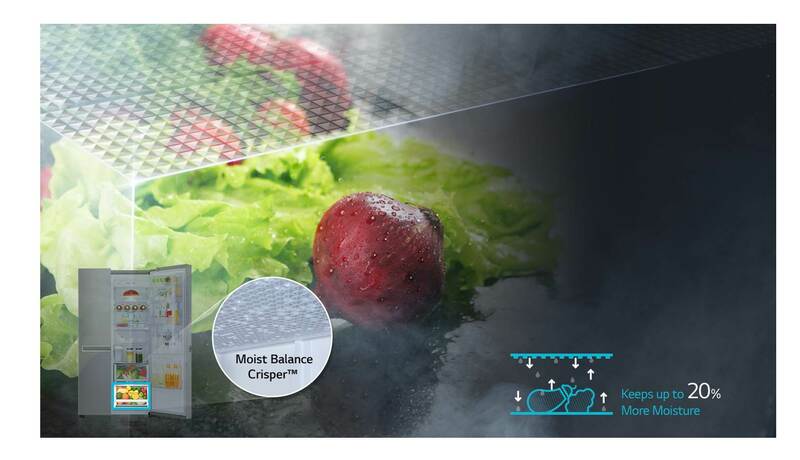 The Moist Balance Crisper maintains the right balance of moisture in the bottom compartment. 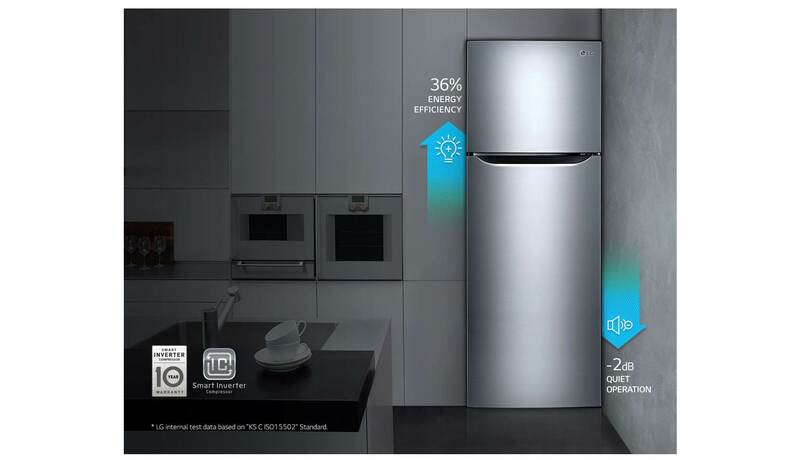 The Multi Air Flow vents distribute and circulate cool air to every corner of the refrigerator. The tempered glass shelves are strong enough to hold heavy items up to 150Kg. 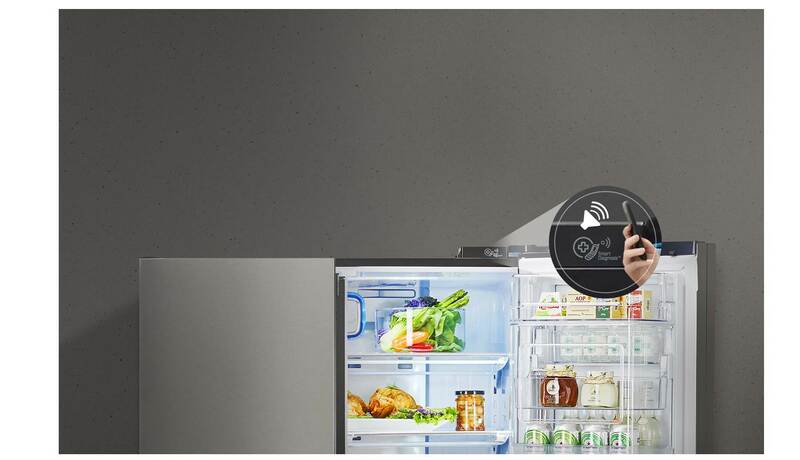 LG’s Smart Diagnosis is an efficient and easy way to troubleshoot issues. The problem will be reflect on your mobile once you place it on the ‘Smart Diagnosis’ icon. Simply call the LG Customer Service Helpline for assistance.